Lend us your time, your voice, your energy. Get involved today. Become an integral part of key revitalization efforts throughout Downtown Erie. Choose one of the four Districts that you want to help support. We may use this information to keep you informed on matters related to Downtown Erie. We will not intentionally sell, share, or distribute your personal information to third parties. Stay ConnectED with the EDP. Sign up for our EDP newsletter and follow us on social. 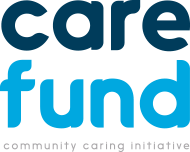 Donate to the CARE Fund. No matter the amount, your generous financial contribution will enable us jumpstart the resurgance of Downtown Erie. * Adobe Acrobat Reader required to view pdf files.